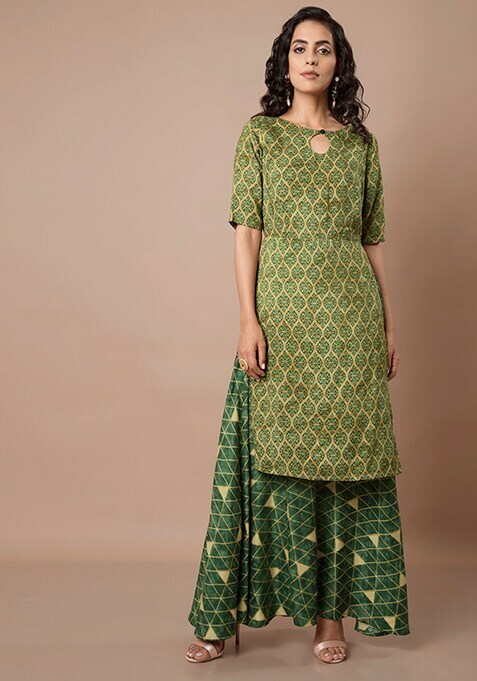 Get the relaxed summer ethnic vibes in this green mix and match tunic. Features all over print and layered design. Work It: Wear it to a party by complementing your look with trendy accessories and subtle make-up.